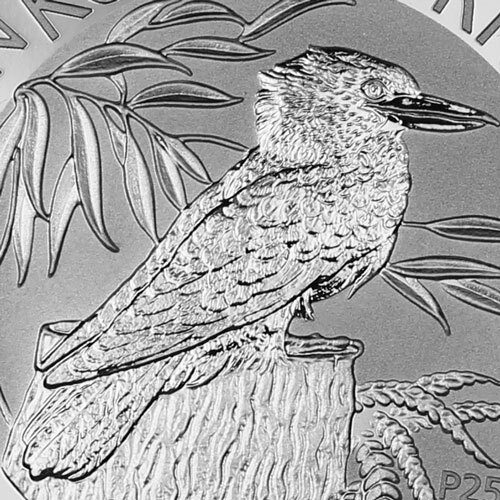 To celebrate the series’ 25th year of minting, the Perth Mint of Australia has brought back the original Kookaburra coin design from 1990. 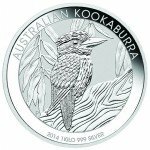 Offered in brilliant uncirculated condition, each of the 2015 1 oz Silver Australian Kookaburra coins have been struck in 1 troy ounce of .999 fine silver. With their retro design and special place in the Kookaburra series, these coins are sure to prove popular among collectors of Perth Mint and wildlife themed coins. 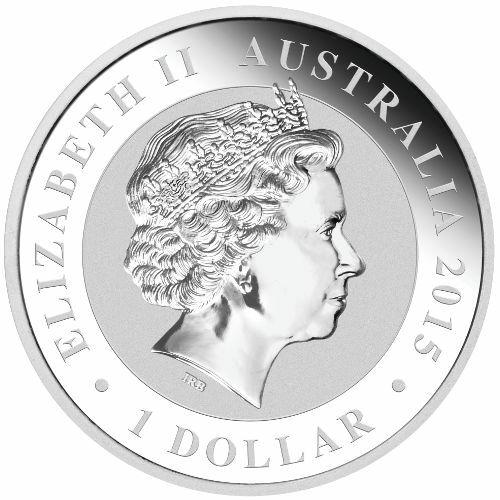 As with most of the Perth Mint’s gold and silver coins, the 2015 1 oz Silver Kookaburra features Ian Rank-Broadley’s depiction of the young Queen Elizabth II. In his portrait, her majesty is shown boasting one of her infamous tiaras. 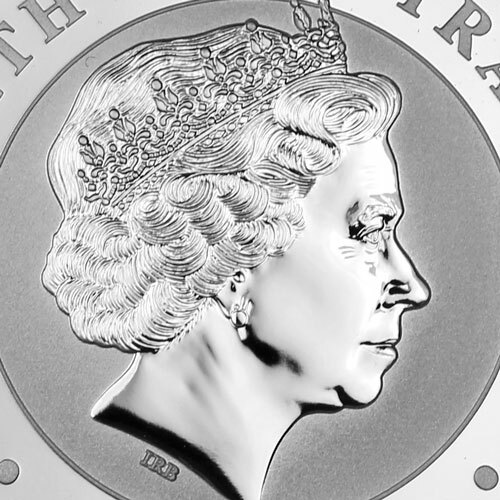 Circling around the queen’s image is her name “Elizabeth II” and the country “Australia.” The coin’s year of minting and face value are etched onto the coin’s obverse as well. 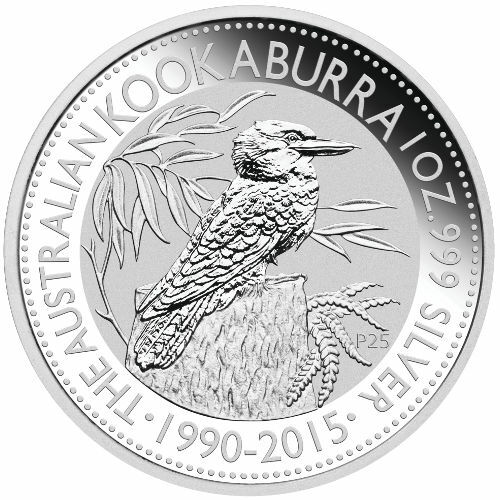 As mentioned previously, the reverse of the 2015 Kookaburra Silver Coin features the same design as the first edition of the coin which was struck in 1990. In this image, the Kookaburra is depicted resting on a tree stump as it gazes off into the distance. Surrounding the bird are the inscriptions “The Australian Kookaburra 1 oz .999 Silver.” After this information the years “1990-2015” are listed to note the coin’s 25th year of minting. Marking a benchmark in the Australian Silver Kookaburra Series, the 2015 coins can be a great addition to any collection of Perth Mint or wildlife themed coins. All orders placed through Silver.com are packaged up and dispatched as securely as possible. Each of our packages include full insurance and tracking with orders in excess of $300 requiring signature confirmation. To get in touch with one of our professional account specialists call Silver.com at 1-888-989-7223 or use the online live chat feature. 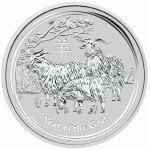 THESE COINS ARE BEAUTIFUL THE PERTH MINT DOES A GREAT JOB IN MINTING COINS!! ORDERED 20 AND THEY WERE SHRINK WRAPPED AND IN CAPSULES!! GOING TO BUY 20 MORE! !